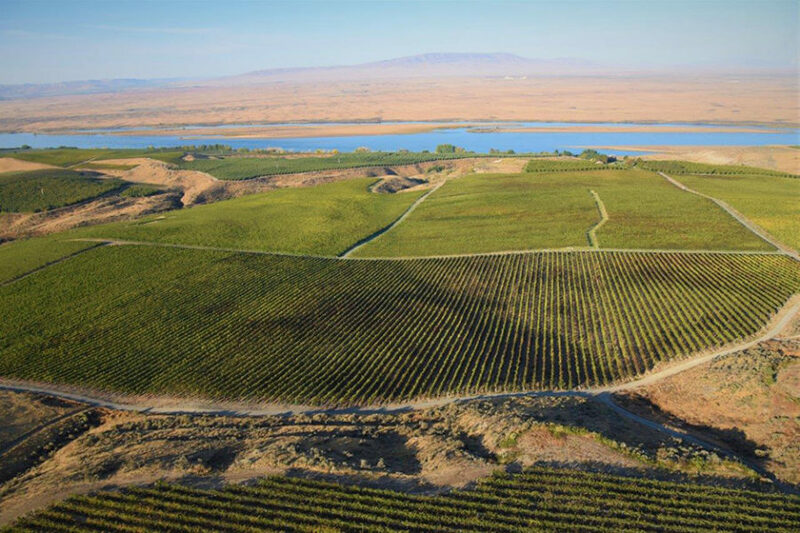 For 40+ years The Vineyards of Sagemoor have supplied carefully-grown, Columbia Valley grapes to Washington wineries. In our years tending vines, we’ve watched a story taking shape. It’s delicious and fascinating, and reveals itself most clearly in the bottles our winery partners produce. In 1968 we bought land to plant vineyards but nobody knew which, if any, grape varieties would grow. Driven by the idea to produce premium grapes for a budding Washington wine industry, our founders plowed ahead with vision, grit, and not much else. Today Sagemoor is nearly 50 years young, proudly farming five iconic vineyards. In any given vintage we grow grapes for about 100 of the brightest winemakers in the state. Each year at harvest we pass the torch, sending our grapes off to their separate destinies. Selections by Sagemoor is our way of sharing this land’s rich history and bounty with you. Each offering tells a story, each wine a stellar example of the best our vineyards produce. The story of wine is so much more than what you see, smell, and taste in the bottle. 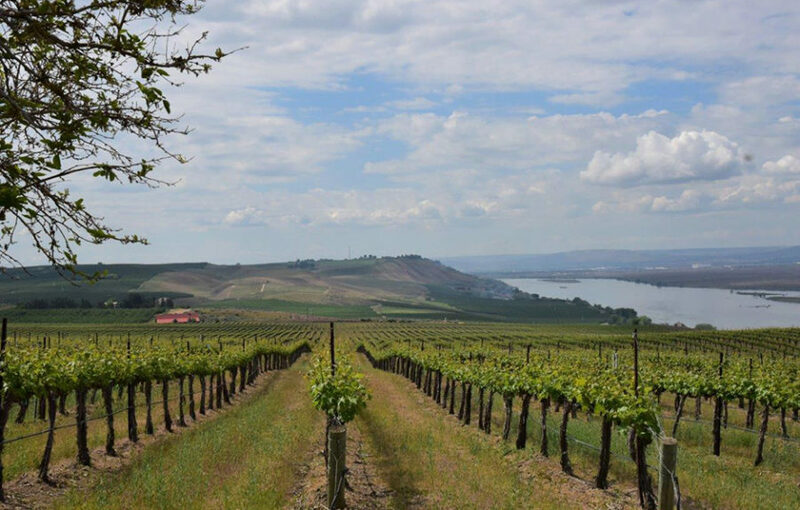 We are a family of vineyards across the Columbia Valley AVA growing grapes for northwest wineries both big and boutique. We currently grow just about 20 varieties, but, like you, we stay curious. Bacchus has 180 acres planted to wine grapes. Currently we grow Cabernet Sauvignon, Merlot, Cabernet Franc, Syrah, Sauvignon Blanc, Riesling, and Chardonnay. This special vineyard is a leading source of old vine WA fruit with over 35 acres of the original 1972 Cabernet plantings, and 16 acres of 1972 Sauvignon Blanc. Next door to Bacchus, Dionysus has 150 acres of wine grapes (plus 12 acres of delicious apples). We’ve always grown Cabernet Sauvignon and Chardonnay on this site, nowadays we also grow Riesling, Merlot, and Petit Verdot. Cabernet Sauvignon has become quite a remarkable flagship grape of Dionysus. 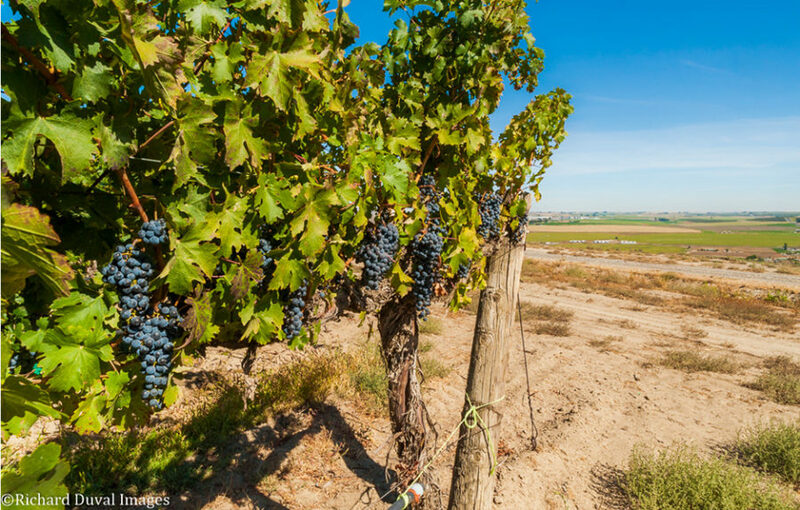 Our namesake property grows red wine grapes Cabernet Sauvignon, Syrah, Barbera, Malbec, Sangiovese, and Grenache. For white wine we grow Sauvignon Blanc, Viognier, Roussane, and Chardonnay. 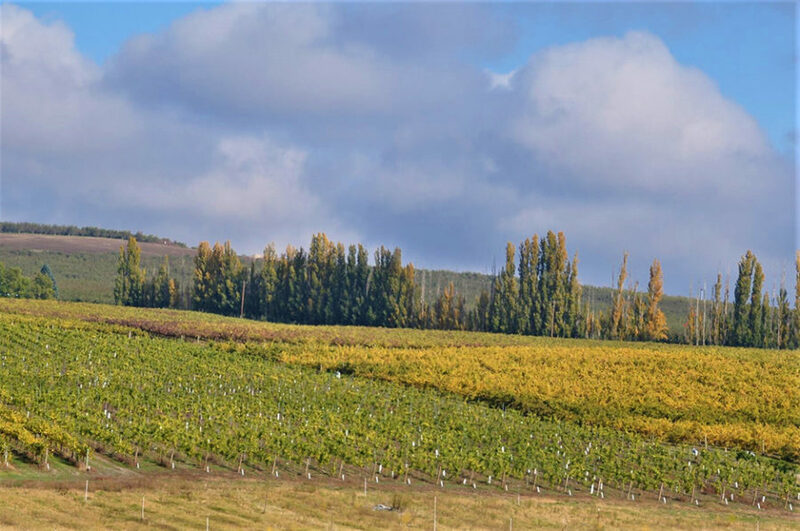 The original partners of Sagemoor pioneered an outstanding vineyard in unlikely circumstances, and history shows us they also made gains for the early WA wine industry as a whole. We acquired Gamache Vineyard in 2016 from brothers Bob and Roger Gamache, fantastic winemakers and grape growers, each. It sits up in the white bluffs overlooking Basin City, with 180 acres of wine grapes. For reds, Gamache has Cabernet Sauvignon, Merlot, Cab Franc, Syrah, and Malbec. This is an excellent site for white wine grapes as well; we have Riesling, Chardonnay, Roussane, Viognier, Sauvignon Blanc, and Pinot Gris. 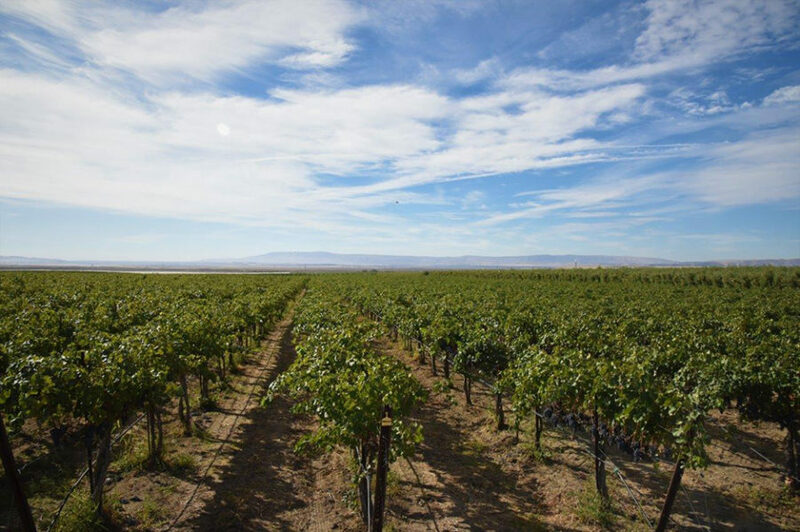 Weinbau sits in the excellent Wahluke Slope AVA with 460 acres of wine grapes. We still have some original Riesling and Chardonnay vines from the first 1981 plantings, but we also now grow Cabernet Sauvignon, Syrah, Malbec, Mourvedre, Merlot, Carmenere, Grenache, and Cabernet Franc. Incidentally, Weinbau has one of the largest Cabernet Franc crops in Washington. The Columbia Valley is a geographical anomaly (thanks, Missoula Flood!) and the wine is like no place on earth. We hope you pass through sometime. It’s so easy to breathe here.